Singing and Spinning: I LOVE THIS SHOW!!!! 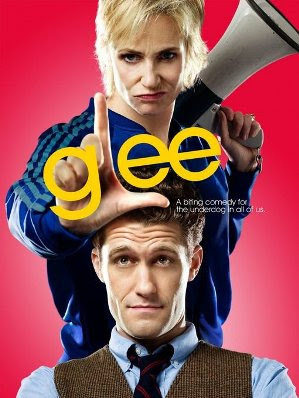 If you haven't watched GLEE, you need to. I have never laughed at a TV show harder or longer than I did during last night's episode. Here's a link to the trailer on youtube. Here's another clip of one of their glee performances. This show is very funny on many levels. I enjoy it as a retired teacher, as the parent of a "drama-rama", as the parent of some "jocks", as the wife of a coach...etc. I love this show too!! I'm so glad to know someone else who loves it as much as me. I have almost of their songs on my Ipod!! !